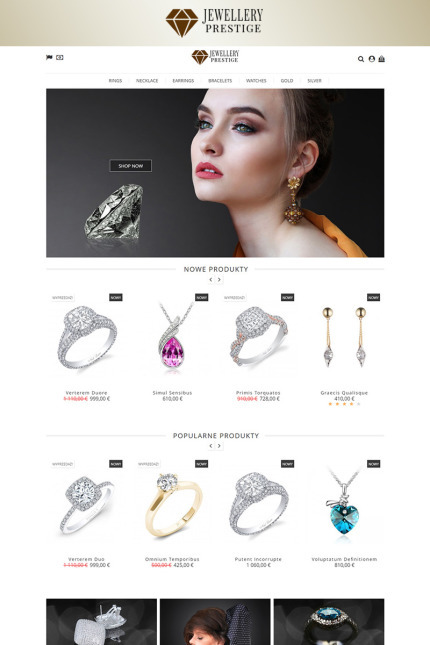 Prestige Jewellery is classic Prestashop Theme dedicated for jewellery, exclusive watches and elegant fashion stores. Practical and intuitive layout of elements. It has modern, clean and attractive design.